The Kardashian/Jenner clan is reportedly over Blac Chyna’s drama and she will not be attending Kris Jenner’s famous annual Christmas party this year. 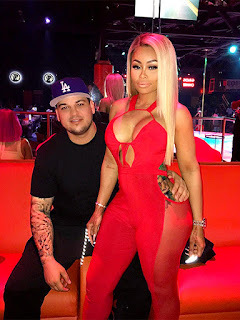 The 28-year-old reality star has been on and off with Rob Kardashian since they had their baby girl Dream just over a month ago and a week ago they had a public falling out on Instagram. Another insider told the mag that the family doesn’t “support the relationship” anymore. “At least some of his family members want Rob to split up with Chyna so they can say, ‘We told you so Rob. You deserve better,” the source said.